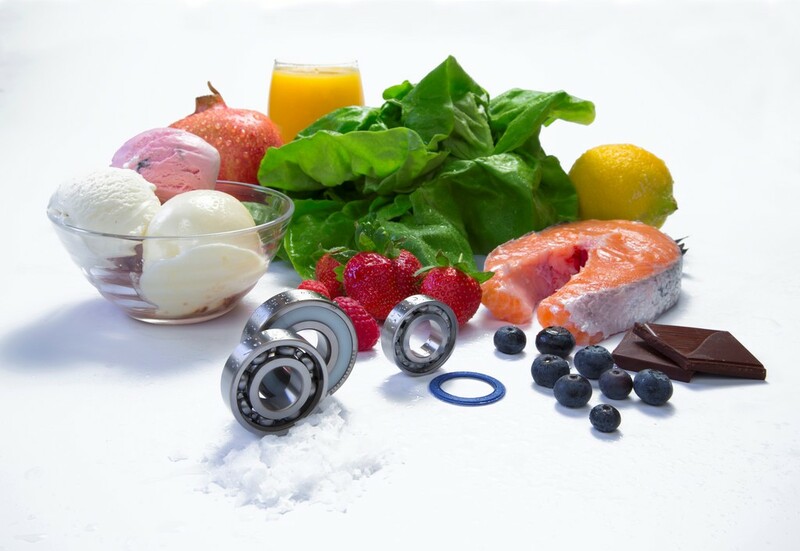 SKF has introduced a new series of food industry compliant bearings that help to minimise the risk of food adulteration and contamination, and subsequent product recalls. The new range of Food Line stainless steel deep groove ball bearings (VP311) meets two key requirements of the food industry: seals made from synthetic rubber compliant with US Food and Drug Administration (FDA) as well as EC requirements, coloured blue for ease of optical detectability, should they be damaged; and high quality grease, suitable for typical food and beverage application conditions registered as NSF category H1. The Food Line family includes 19 different standard sizes of deep groove ball bearings from SKF’s comprehensive range, in diameters ranging from 8mm to 40mm. Food safety management systems such as HACCP are placing ever-greater importance on safe food production. Many food product recalls are necessitated by the possible presence of hard or sharp objects, so food safety and detectability are high priorities for any components operating close to the food stream. The same is true of lubricants, and for this reason food-grade lubricants are increasingly used on a plant-wide basis to remove the possibility of accidentally applying a non-food grease to a critical component. SKF stainless steel deep groove ball bearings offer high resistance to corrosion, so that they can withstand the aggressive wash-down regimes that are necessary in the food industry. The special seal enhances this, helping to retain lubricant and prevent ingress of wash down fluids.